Home » F.A.Q.s » What does the back of an Invisi-Tuck look like? What dose the back of an Invisi-Tuck IWB holster look like? 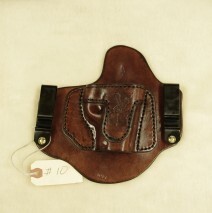 As you will see in this picture of one of the Invisi-Tuck holster with a natural finish. 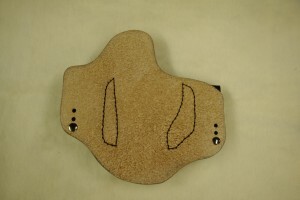 The back is flat with the holes punched to allow for height and cant adjustment.